With Sky Sports, La Gazzetta, and everyone’s Nonna reporting that Berlusconi has sacked Mihajlovic and promoted Primavera coach Cristian Brocchi to the first team, the hearts of Milan fans everywhere are shattered. Everyone could see what Mihajlovic had done for this team this year, and it finally felt like we were actually rebuilding for the first time since the original Year Zero in the summer of 2012. That must have sent a warning signal to Berlusconi to reset once again, because we certainly cannot have happy fans or actually do anything that looks like actual rebuilding. 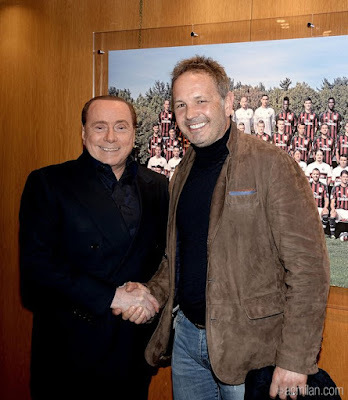 While it is no secret that Berlusconi never confirmed Mihajlovic this season, not even after the epic 3-0 Derby win, he had recently said multiple times that he would look at Mihajlovic at the end of the season, and that if he won the Coppa Italia, he deserved to stay. But with the official announcement from the club expected tomorrow morning, here we are at Year Zero again. One infinite loop of pain for Milan fans. What are you doing, here, Silvio? Is this a football club or a three ring circus? So many questions… first and foremost, what does Berlusconi expect to achieve by sacking Mihajlovic now? With only six games left to play, the players have to adapt to a new coach, possibly new formations and ideas, while I assume they are also scratching their heads as to what happened with Mihajlovic. 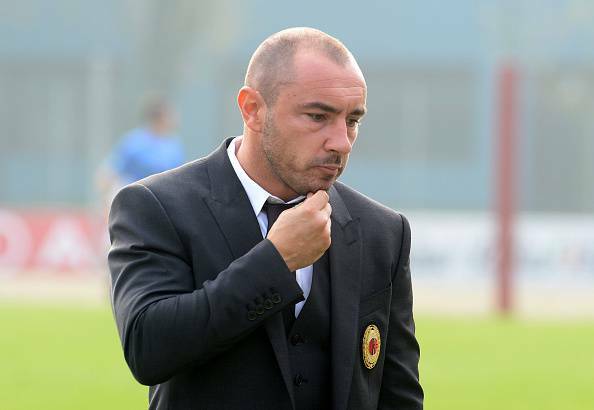 Brocchi’s record isn’t any better than Mihajlovic’, especially after his Primavera team crashed out of the Viareggio Tournament with a 4-0 spanking by Juventus. Now he’s somehow going to pull this first team together and whip them into shape and beat Juve’s first team in the Coppa Italia in five weeks? Has anyone checked if Berlusconi is legally mentally capable? The sacking reportedly occurred by phone, of course, Berlusconi would never have the balls let alone the class to do it in person. And the meeting with Brocchi and his agent, etc. at Berlusconi’s villa in Arcore reportedly took place without the presence of Galliani, which is extremely odd, too. But considering that Galliani has been against sacking Mihajlovic before the end of the season, it's not that odd that he would be left out of the pow wow, actually. Besides, it’s not as if Berlusconi was even at the game on Sunday to watch how well the team played. Perhaps someone told him the score and he just reacted and picked up the phone. Maybe he was jealous of Lotito, sacking Pioli and then promoting the other Inzaghi, who won his first match in charge 3-0. But they were playing Palermo, so that doesn’t really count. Speaking of Palermo, Berlusconi recently mocked Zamparini for his serial coach sackings and saying he wasn’t like that. But apparently after Zamparini made his ninth coaching change of the season earlier today, Berlusconi thought it was okay? It is of note here that the three owners who have made coaching changes in the last week are three of the craziest owners in Serie A. Barring Sampdoria or Napoli making changes, I’m pretty sure they represent the Serie A psych ward. And I don’t think Berlusconi was always a part of this group, either. The media are reporting that Berlusconi sacked Mihajlovic because of the players who left Milan who are performing well, as well as players Mihajlovic asked to have at Milan who are not. First of all, how does sacking Mihajlovic now change any of that? It makes less than no sense whatsoever. 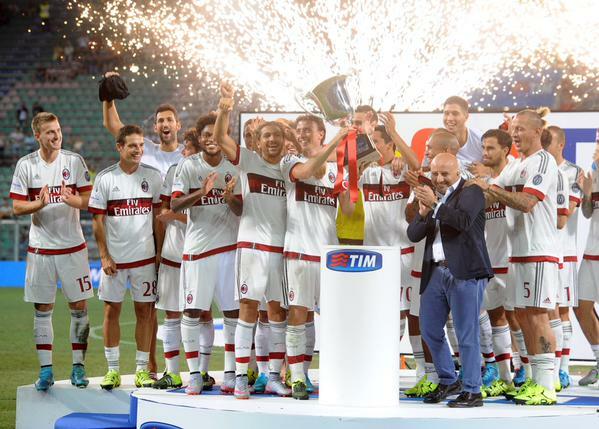 Second of all, of course the players who left Milan are performing better. They got out of the dysfunctional nightmare that is Milan because of Berlusconi. The nationalistic, lying, cheating, criminal politician who claims to love Milan but only loves himself (and hearing himself say words) is a cancer at this club. He claims to have no money, but throws money away when it’s time for campaigns. He may have once known football, but now he doesn’t even know how to get to the San Siro and watch his team play. Mommy, make the creepy politician smile go away, please? So he fires the straight-shooting Serbian who has done more to change the mentality of the club this season than everyone else combined has done in the past three or four years. And he calls up a company man, a yes man. An unproven Milan man… Italian, of course, because you can’t forget that. To do what… pull through the end of the season with the momentum of mentality that Mihajlovic built, then watch us fail spectacularly in the Coppa Italia final (but blame Mihajlovic for that, of course?) What is the point? How does this help the team in any way? It doesn’t. It absolutely doesn’t. There is nothing Brocchi can do at this point that Mihajlovic wouldn’t have done better. But now there is pain and confusion and… wait for it… new mentality problems. Because most of the mentality problems at the club have come from the confusing messages from management and the recent revolving door policy of both players and coaches. So here we go again, Year Zero, infinite loop. Many of us had resigned ourselves to the fact that Mihajlovic would not be here next season. Berlusconi just hated him so much from so very early on. But we all hoped that we could at least have the consistency of one good year of rebuilding, and then perhaps get a coach that was as good as or better than Mihajlovic for next season. But now it seems that we are taking another step down. Whereas Mihajlovic had come in with nine years experience coaching Serie A, and had improved at almost every club, Brocchi has zero Serie A experience. None. How is he supposed to make a difference at this point? By showing his Milan youth Panini stickers to the players? Sorry, but it takes more than having worn the crest to be a good manager. And comparisons with Sacchi are laughable. Sacchi never even played professionally, he was a shoe salesman. I just don’t see the correlation at all. "She's right... this move makes no sense. Why did I agree to it?" But I don’t think Brocchi is supposed to make a difference at this point anyway. My gut feeling on this is that Mihajlovic was the thorn in Berlusconi’s side, and he let it fester and swell until he couldn’t stand it anymore. This was not a football-based decision. Because Berlusconi wasn’t even at the football match on Sunday. Sure, he had three hours to meet with Brocchi tonight, but couldn’t be bothered to watch the actual football team he claims to love. Certainly if he had, he would not have made this ridiculous move. Because if he had, he would have seen a team that fought like lions under the management of a warrior. And he would have seen that if Milan are going to finish out this season well, they needed the consistency and direction of that warrior to get us there. 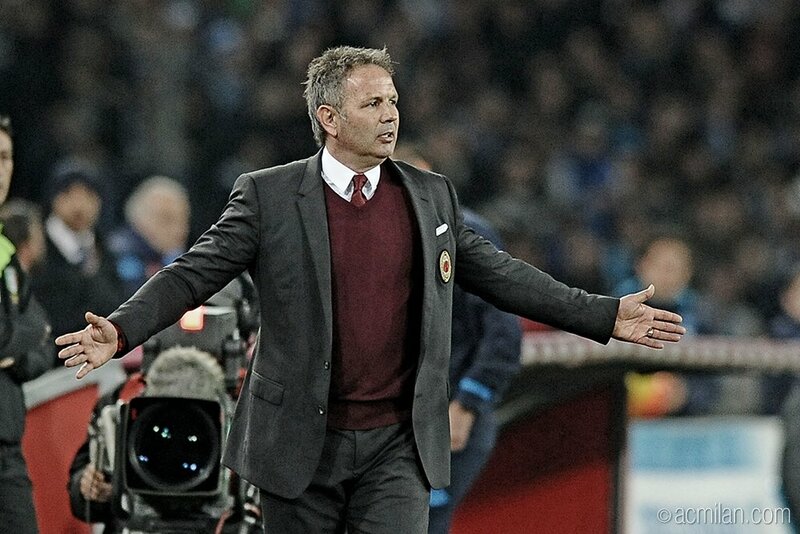 Love Silvio or hate him, love Mihajlovic or hate him, this decision makes zero sense from a football standpoint, and even less sense to the hearts of fans who want to see our Milan return to greatness. So Tuesday, at 3pm, when Brocchi takes over the first team, Year Zero resets yet again. And Milan fans are thrown back into the infinite loop of pain.